If you’re looking for a simple yet highly effective tool for improving your targeted marketing, Splitter offers just that, detecting, analysing, and enriching your user data, without end-user interaction. Splitter allows you to target users based on location, time, device, and platform, enabling the set-up of intelligent links through their cloud service, without any previous technical know-how or technical integration. Whether you need smart links for newsletters or websites, Splitter will create short reusable URLs, or QR codes for print and offline advertising. Targeting in this way shortens your sales funnel, giving you only relevant content and insights, offering a greater ROI, and increasing conversion rates. Link management and advanced targeting like this is made possible with the Splitter dashboard, where you can generate, manage, and access each of your links and splits. You can add, edit, and share folders and information with other users, as well as checking in on your analytics. With Splitter, it doesn’t matter what kind of device your customers are using, whether it’s a mobile, tablet, or laptop, nor which operating service it runs on, as it allows you to use the same URL, QR code, or NFC chip for all, automatically redirecting users to the correct app store or website, and allowing updates at any time. Have you ever tried searching for CNN in an app store? There are so many apps with CNN’s name on them, but only one of those apps is officially theirs. Since CNN made use of Splitter’s Appsplit, customers have been able to locate the official CNN app so much faster and easier than ever before. CNN is just one of the big companies already onboard, along with Canon Inc Europe and Co Ro, to name just a couple more. Splitter also offers Citysplit, a feature that gives you the ability to redirect users based on their region and city location, directing content through a short URL or QR code geographically relevant to them, optimizing user experience. You can even set a default location to direct content to your users should their location not be listed. With an impressive 99.8% accuracy on country level, 90% on regional level, and 81% on city level, Citysplit ensures the right content is getting to both your customers and clients. If you’re looking to create targeted marketing on a bigger scale, you could try Splitter’s Countrysplit, working just as Citysplit does, but by country rather than city or region, giving a wider spectrum for content. With detailed real-time analytics, Splitter enables you to store all of your important statistics in one convenient and accessible place, and allowing for integration with Google Analytics and Adobe SiteCatalyst. You can store your statistics in the web analytics software you are already using, enabling detailed click tracking, real-time reporting, and separate Splitter HQ analytics within Splitter’s interface. With Premium, Pro, Basic, and Starter plans available, starting at as little as £45 per month, with campaigns, various splits, basic and detailed analytics, custom domains, and ongoing support, Splitter HQ is leading the way in intelligent marketing, so who will you be targeting? Start your free trial today. Posted in Features, Market Insights, Marketing, QR codes. Mobile phones and tablets are becoming the remote controls of our daily lives. Increasingly connected devices are seen as powerful tools for new technologies as QR codes and NFC, which are deeper engaging the new generation of digitally savvy customers. Posted in Features, Market Insights. Social media can be your best tool in terms of generating an audience. The number of people using social media is rising reasonably quickly. For example, in 2010 there was 0.97 Bn people using social media. Only two years later in 2012, there was 1.4 Bn people and another two years later in 2014, there was 1.87 Bn people using social media. It is estimated that in 2016 there will be 2.22 Bn people using social media and the numbers are estimated to rise even further by 2019 to 2.72 Bn people. Them statistics alone go to show why social media can be a businesses best tool if used properly. Not only is social media free to use but you can engage with social media users instantly. This is good news for businesses who are wanting to maximize their online presence and get more attention from a wider audience. In the past, businesses faced the problem of reaching more people to generate more customers. It proved costly and there was very rarely quick results. However, that has all changed; With the use of social media, content sharing is now much easier. Social media websites such as Twitter and Facebook have key features in helping you push your business in the online world and become recognized by people from different towns/cities and even countries! An example of one of their best features is the hashtag. For this you simply put a hashtag(s) in relation to what you are talking about and customers can then search this and find what they are looking for. Simple! * Not all content will relate to customers. This is another important thing for businesses in modern day as it is estimated that there is 3.79bn mobile phone users. This means you can target your customers via a mobile version of your website or an app in one of the stores (Apple App Store/Play Store). The sheer volume of mobile phone users means you have a relatively large base to attract followers. So making a customers experience of your business positive is really important. More and more businesses are beginning to exploit this gem; There has been a steady increase in businesses creating mobile apps and mobile versions of their websites. However, this can prove difficult for small businesses whether it’s due to money, knowing how to and many more reasons. The number of internet users is also at a remarkable high of around 3.419 Billion internet users. That is almost half of the world! This means you have the potential for a huge number of online customers. However, due to the high amount of social media users, large businesses have also jumped on this. Which unfortunately means it can prove difficult for businesses to get noticed online without the need to pay for advertisement. * It can be difficult to make an impact with users. I have only touched on these but you can see the impact that social media can have for your business. If you use social media right, you can massively reduce your advertising costs. Splitter HQ can help businesses with social media engagement via the use of short URLs, QR codes and redirection splits. Not only does it make your business look more professional for when people start to notice what you have to offer, but it also saves your potential and/or current customers time. You don’t need any technical knowledge in order to use Splitter HQ, we take care of the complicated bits, enabling you to create splits within minutes. Splitter HQ aims to simplify online marketing as much as possible and then put the empowerment directly into your hands. By doing this, you can directly target customers. We can also help businesses by creating redirection splits to their app or a redirection to their website based on the customers location. The location redirection also works with countries, cities and towns. Splitter HQ is used and trusted by some big companies like, Canon Inc but we also have plans to suit Small and large businesses that are serious about improving their social media presence. I hope you take advantage of the free trial. Posted in Features, Market Insights, QR codes. You can walk into a shop near you, pick up a product and guess what.. It has a QR code on. There has been a myth that QR codes have died out. I beg to differ. For example, I used a QR code recently, I scanned my lottery ticket QR code and it told me my winning numbers. It saved me around 2 minutes of my time and gave me an almost instant reply. When it comes to a QR code, it has to serve a purpose. There are many QR codes that serve little purpose. Make your QR code direct a customer to something they want to see. Something useful! You could direct them to an offer, discount voucher or maybe product information. Make the QR code save time for your customers. Make the URL linked to the QR code short. The longer the URL the more dots there is in the QR code- which makes it difficult to scan. By using Splitter HQ you can easily shorten the link you want to direct a customer to, we will then create a clean looking QR code, which in return makes it easy to scan- Saving the customer time! The issue with QR codes is that they can seem a chore. Think about it, your in the middle of shopping. Are you going to get your phone out to scan a QR code? Probably not. Therefore you need to entice the customer. Maybe put a line under the QR code. For instance; ‘Scan for product reviews’ or ‘Scan for offer’ make it worth the customers time. If scanning a QR code means saving money, customers will jump at the opportunity! Finally, When the QR code is active, check on how customers are interacting with it. Splitter HQ plans offer real live analytics. So you can track how customers are using the QR code. The real live analytics feature enables you to see how many people scanned the QR code and where in the world they were, even what city they were in. Don’t forget we offer a free trial period of 15 days. This gives you access to all the features. Give it a try. It will help your business save time whilst marketing effectively. You can sign up to our monthly newsletter on the right! Sounds contradicting? Not at all. Not with Splitter. Splitter being an intelligent marketing tool is able to unite platforms and gadgets with the use of QR codes. With its customizable QR codes, URLs and cloud service, Splitter can accurately and quickly reach the targeted users. It will work on any device, smartphone or operating system. Splitter unites platforms and gadgets easily. Looks familiar, right? You see this code almost everywhere now, from books, advertisements, stores, gadgets, and online. It can reach anyone who sees it. This “small square dotted” code can carry many vital information. The most common is a web page link of the product, service or business. However, because of its compact and advanced features, it can actually hold the résumé information of a person. It really depends on how you want the QR code customized and where it will be directed. A QR code can hold lots of surprises, even winning a jackpot! Many establishments and businesses grab the opportunity and take advantage of the usefulness of this marketing tool. Splitter is able to effectively produce this kind of service with ease and manageability. It brings about a whole new level of marketing to a business. This kind of marketing reaches out to customers in a very versatile approach. To make the QR code accessible, there is a need to download a QR code app to make it recognizable. You can quickly download it for Apple or Android devices. Then this app can translate the QR code scanned. So, how do you scan a QR code? Just take a photo of it and the QR code scanner will do its magic by translating the photo and directing you to the link embedded on the QR code. The process is very easy and it only takes a few minutes or even seconds depending on your internet connection. Splitter unites us all to an effective and creative marketing innovation. Posted in Features, Lessons Learned, Market Insights, QR codes. Splitter is known for developing an intelligent marketing tool that helps marketing teams manage links and utilize the use of QR codes. Being able to accommodate any kind of device and deliver to any kind of platform, Splitter makes it easy for any user to work with whatever device he has. There is no need to switch from a laptop to a smartphone to be able to access what the QR code has. Splitter provides a platform independent QR code and link that makes it worry-free for companies. As such, Splitter is used by the Advice Communication Agency to have a clear call out with the CNN campaigns. CNN, as one of the biggest and most popular company in the news business uses Splitter to help users who are accessing CNN be able to have one QR code and a simple URL to choose from when getting through the different CNN Apps. CNN is global network that uses a wide range of selection from Mobile to Tablet Apps for Apple, Android, Windows, Google, etc. Splitter allows CNN to have a wider reach to individuals wherever they are and with whatever device they are using. Advice made a great choice being with Splitter! Posted in Checklists, Features, Lessons Learned, Market Insights, QR codes. Splitter is a fantastic and effective marketing tool that will help marketing teams to fully optimize the use of QR codes and manage their links. This guide will help businesses, marketing departments, owners and even start-ups in finding out if implementing a QR code in their marketing strategy will be an effective tool to take. It will give a clear perspective in identifying the needs of your target customers. Even stressing that there is a need to make sure to link your QR code to a mobile friendly website because with the general use of smartphones today. Best of all, this guide shares with us numerous essential tips and ways to fully enhance the use of the QR code. Splitter can effectively strengthen a company’s marketing strategy when properly planned and implemented. Even just by adding a simple line with the QR code that will attract a customer in scanning it, for example, “Scan now for a chance to win this car!” will definitely move the person to be curious about it and scan the QR code. On the part of the company, it is utterly important that they produce the promised Ad by making effective landing pages that are true to its word. It is very important to have customer involvement. 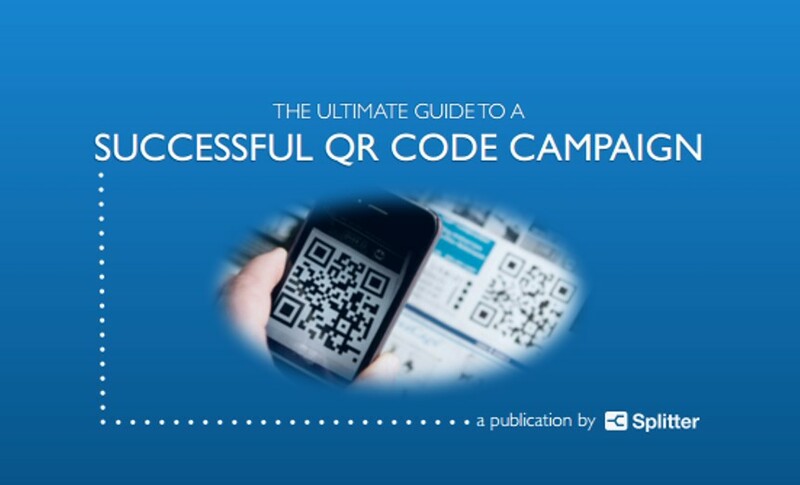 A successful QR code campaign is absolutely attainable if we follow through the 6-Step Guide provided by THE ULTIMATE GUIDE TO A SUCCESSFUL QR CODE CAMPAIGN. This e-book publication of Splitter gave us a detailed process and understanding of what should be done and what to expect when we choose to use the QR code as part of our marketing strategy. Splitter has extensively shown us, through this guide, the advantages of applying this intelligent marketing tool in our businesses and ads. Posted in Checklists, Features, Lessons Learned, Market Insights, QR codes, SXSW. Splitter elevates marketing strategy with the use of QR codes. Splitter can customize to users a simple QR code and short URLs for their marketing needs. With the easy to use cloud service, Splitter definitely elevates marketing strategy and tools by setting up intelligent links and easily targeting users within minutes. The QR code and link that Splitter provides is platform independent. This means that whether you are using a smartphone, a tablet or a laptop, the QR code will work on any device or OS. Now, isn’t that great! No need to switch to another device in order to get through another site or even the need to setup a particular platform. With Splitter’s QR code, the device and OS split will automatically redirect users based on the device they have used. With the use of this more sophisticated marketing tool, businesses can now easily reach out to people, even to people who have no idea what QR codes are. Why? This is because QR codes are now basically seen everywhere – from magazines, print ads and gadgets. And the people who have no idea what QR codes are will be curious enough to learn about them. Soon, even they will be tech-savvy knowing what QR codes are used for. QR codes can help many people in different ways. It is a marketing tool, but most importantly, they give information. That information can range from a website, a train or bus schedule, a promo, or even a resume of a person. So many possibilities can be done and optimized with the use of Splitter’s QR codes and customizable short URL links. By integrating the use of this sophisticated tool, network traffic will increase, so will your clients and ROI. And you will never lose traffic even if the users switch devices or platforms. Moreover, Splitter gives a detailed analytics of the user’s location, device type and platform. What Splitter offers is a different marketing tool than what is traditionally offered to businesses or clients. As tech-savvy users are increasing so are ways of marketing a product, a site, an item or even just a schedule. By updating one’s marketing tool would be a huge advantage on your business. Splitter elevates your marketing strategy and extends your reach to new clients, more possibilities and greater return of investments. Understanding QR codes and how it works can be quite confusing. However, such marketing tools are very essential in our times now when everything is technologically advanced. To make the concept simpler, we’ll go through each step on how it works. These QR codes can be seen on different products such as magazines, boxes of gadgets, and even grocery items such as shampoo, toothpaste, etc. Practically anything can get a QR code. Below is a sample of a QR code, photo credit from PC Mag. The scanner looks for four squares (arrows) and two alignment lines (yellow) that alternate black and white. Ahh, now they look familiar, right? When you find these “small square pixel boxes”, they are QR codes. AND… they can carry a lot of information. QR Codes can be comparable to a Barcode but in a more sophisticated manner since it can contain more information for a particular item, product or advertisement. As mentioned earlier, QR code is a more sophisticated version of a barcode. Obviously, we know how barcodes work. Barcodes are scanned with barcode readers or optical scanners to show an item’s name, price, or inventory on the POS (point of sale). A barcode can hold only a LIMITED number of information. Now, QR codes can handle MORE INFORMATION than that. 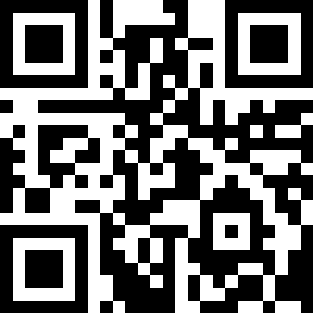 Once a QR code is scanned it can direct you to web links such as websites, schedules, résumés, or more products online. There is a need to be online when scanning the QR code. Why? Because a smartphone or a tablet is used to scan it, by taking a photo of the code. For the code to be recognizable, you may need to download a QR code application for Apple or Android phones or tablets, so that the code may be translated when after taking a photo of it. These QR code scanners will translate the photo taken of the QR code based on the “squares and alignment lines” it has. QR codes are essentially used as a marketing tool. It makes it accessible for companies to reach out to people, particularly those who are technologically up-to-date with the use of their devices (smartphones and tablets). Splitter offers this marketing tool. It can definitely help in increasing the marketing ROI of a company. Splitter can generate clean short URLs and universal QR Codes. It can also detect and analyze the device you are using and direct you to the correct platform. Everything else can be customize to the needs of the client. Splitter makes targeting easy with its cloud base service. Splitter can make a big difference in improving your marketing strategy.and increasing the conversion rates. Are you running marketing for a big offline business spanning many cities and geographies? Trying to figure out all the hype about the local marketing and how your business can benefit from it? If possible, without the involvement of your slow and lazy IT department? Well – Splitter has a solution for you! Today we are adding one of our most requested features. We call it the City Split. Splitter is a marketing tool that helps you manage and contextually target your online and offline links. Improving your conversion rates has never been easier. 63 Duke Street, Colne, BB8 0SU. © 2019 Splitter Blog, all rights reserved.